Cannabis has been shown to kill cancer cells, save the lives of countless epileptic children, treat PTSD, heal bones, treat brain trauma, and a slew of other uses science is only beginning to understand. And yet, the only thing dangerous about this seemingly miraculous plant is that police will kidnap, cage, or kill you for possessing it. To understand why the state is so adamant about locking people in cages over a plant, we have to look at the history of that plant’s prohibition. WARNING: The conspiratorial stupidity and mania surrounding the prohibition of cannabis are massively infuriating. Using the data compiled at DrugLibrary.org, Nick Panetta, the public relations director of UGA NORML sums up the history of drug war quite eloquently. Historically, marijuana drug laws are the product of a lack of knowledge, and what must either be described as propaganda or complete lunacy. Prior to the federal Marihuana Tax Act of 1937, 27 states had passed laws against Marijuana. Those states could be categorized into three groups: Southwestern, Northeastern, and Utah. Utah, however, enacted marijuana law for its own reasons. When the Mormon Church decreed polygamy a mistake in 1910, those in disagreement fled to Mexico. Failing to establish settlement, the group returned to Utah in 1914 with marijuana. The Church, opposed to euphoriants of any kind, declared marijuana prohibited and wrote it, with other religious prohibitions, into the state’s criminal law. With 27 states prohibiting marijuana, it wasn’t long until federal legislation tried to control this “growing problem”. Not yet able to mandate criminal law, a common states’ rights issue of the time, the legislation came in the form of the Marihuana Tax Act of 1937. 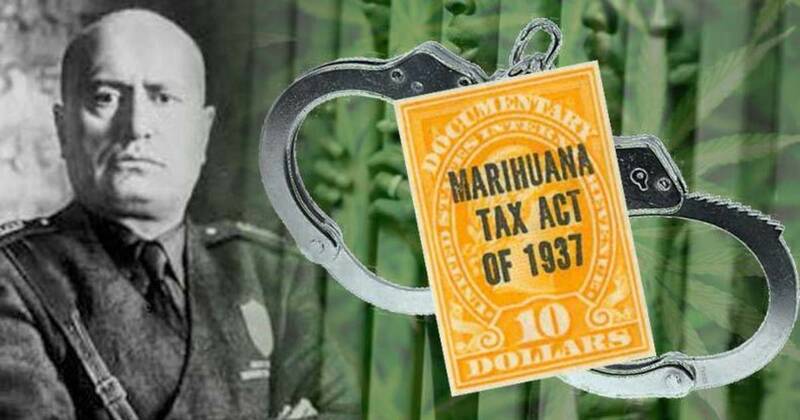 The Marihuana Tax Act of 1937 moved through congress very quickly. The Congressional committee hearings lasted one hour each over two days. The hearings featured several testimonies: Harry Anslinger (the newly named Commissioner of the Federal Bureau of Narcotics), industry spokesmen for rope, paint, and birdseed, and medical testimony from Drs. James C. Munch and William C. Woodward. When asked if the AMA supported the bill, one member of the committee replied, “They support this bill 100 percent.” This was a lie, but the bill passed anyway. It then cleared the Senate without debate, and President Franklin D. Roosevelt signed it into law. Afterward, Mr. Anslinger named Dr. Munch his expert witness; a position he held until 1962. During that time, Dr. Munch went on to repeatedly testify, “After two puffs on a marijuana cigarette, I was turned into a bat,” and claimed that he flew around the room for fifteen minutes before finding himself at the bottom of a two-hundred-foot high ink well. From that point on, when the public perceived an increase in drug use, the answer was new criminal law with harsher penalties in every offense category. When the federal government discovered that organized crime was funded through illegal narcotics, even harsher penalties were enacted. Through repetition of this pattern, drug penalties increased eightfold over 20 years. The war on drugs had begun. The time to end the drug war is now. Please share this article with your friends and family so that they will know the lunacy and corruption that led to the suppression of this amazing plant. Matt Agorist is an honorably discharged veteran of the USMC and former intelligence operator directly tasked by the NSA. This prior experience gives him unique insight into the world of government corruption and the American police state. Agorist has been an independent journalist for over a decade and has been featured on mainstream networks around the world.